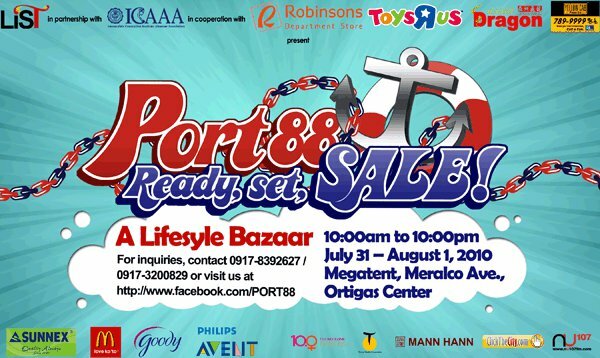 Don't miss out on the biggest lifestyle bazaar this year--Port 88: Ready, Set, Sale! Save the date--July 31-August 1 at Megatent, Meralco Avenue Pasig City. A LOT of leading commercial and online brands will be there so don't miss out. 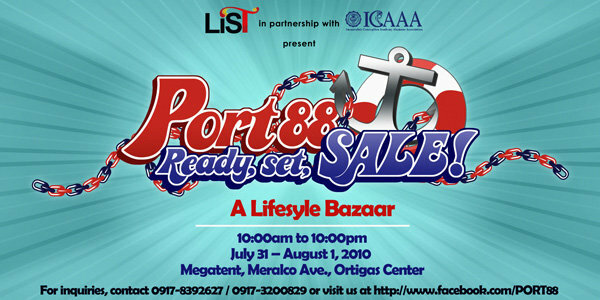 For interested tenants, text Krizanne at 09178392627 or Rachel at 09173200829.